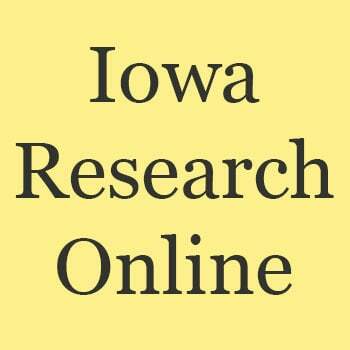 By far the most heavily used collection in Iowa Research Online are our theses and dissertations. Most of the items in the collection are from the last decade, either from graduates who voluntarily submitted their thesis electronically or dating from after December 1999 graduation when electronic submission required by the Graduate College for all non-M.F.A graduates. All of them are freely available worldwide (after an embargo period, if requested). We have also digitized a small number of older theses. We digitize items when requested by an interested reader, with the copyright holder’s permission. We are also posting digitized out of copyright theses as time allows. As one would expect, these items do not receive nearly as much use as the newer theses. However, we are pleased to see that they are receiving steady use, far more than the print theses circulated. In all, these 217 theses have been downloaded 20,966 times, used on average once every 5 days. In fact, six items have averaged more than 1.2 uses/day, including two that have been downloaded more than 1000 times! In early May 2010 we ran a report to count circulation of theses, with data covering the previous five years. The highest use of any thesis was 60 circulations. The 2nd highest number was 16. Only 5,695 showed any circulations (average circulations 2.6 for those that circulated and 0.7 overall).